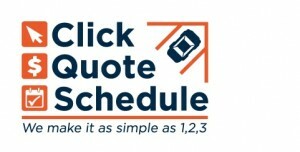 We can provide you with an estimate over the phone in 15 minutes! 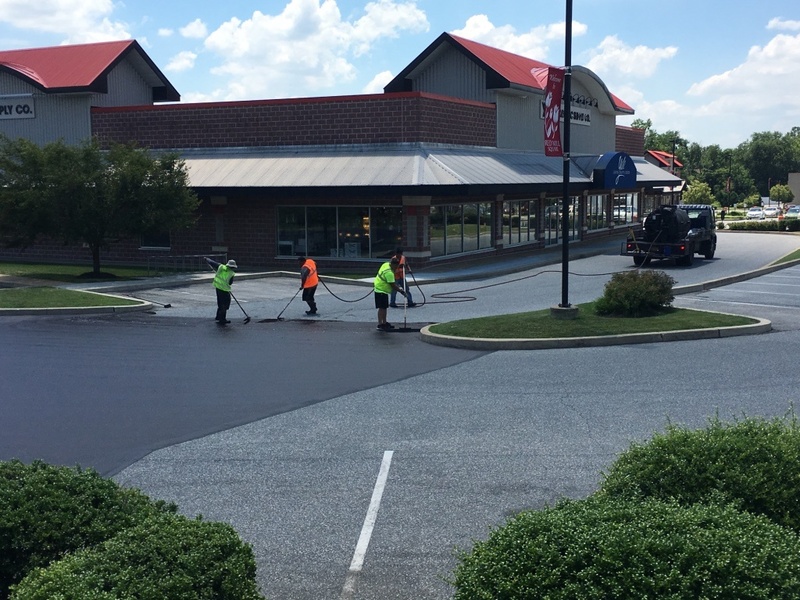 Since 2001, our team has offered asphalt sealcoating (and other pavement repair and maintenance) services to customers in New Jersey, Pennsylvania, Delaware & Maryland. If there's one thing we know well, it's asphalt! In this article, you'll learn about sealcoating--what it is, why it's important, how long it lasts, how much it costs, and more. Start by clicking on any of the below questions or by scrolling down the page. → What are the benefits of sealcoating? → What materials / chemicals are used? How is sealcoating applied? → How long does asphalt sealcoating take to complete? → How much does sealcoating cost? → How long does sealcoating last for? → How does 1-877-FIX-ASPHALT do sealcoating? 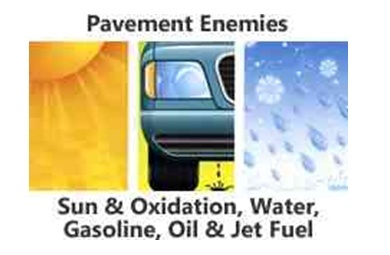 Asphalt has a number of enemies. You know, things like extreme heat, extreme cold, oxidation, gasoline and other oils, and more. Property managers sealcoat their driveways, parking lots, and other asphalt surfaces for protection! Sealcoating your asphalt is like equipping it with battle armor. What are the benefits of sealcoating? 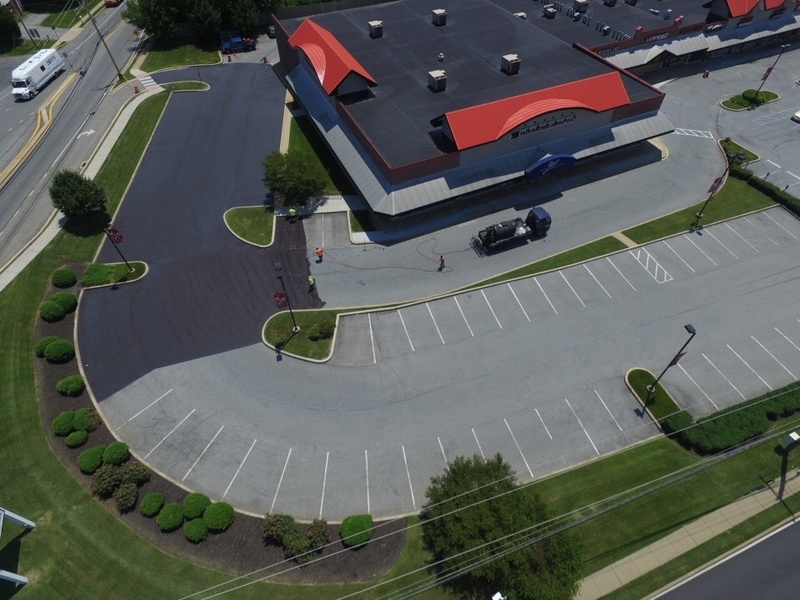 Protecting your asphalt with high-quality sealcoating offers property managers a number of benefits. Periodic asphalt maintentenance can extend the life of your asphalt up to 30 years. 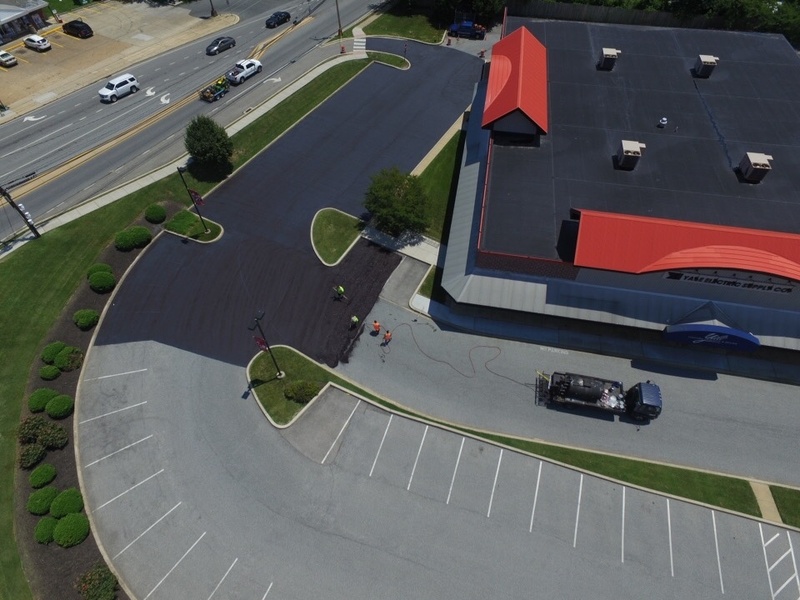 When new asphalt is properly sealcoated within the first year, the surface will experience much less degradation from water, traffic, and UV damage from the sun. Sealcoating also protects against oxidation caused by harsh weather like heavy rain, snow, and ice. Sealcoating can save property managers a significant amount of money as well. While many are reluctant to spend more up front on premium grade pavement sealers, in the video below you'll see how it actually costs less when amortized over a 12-year period. Because sealcoating gives asphalt a deep, rich black color, it helps to melt ice and snow faster. A darker surface retains more heat than a lighter one. Because sealcoating creates a smoother surface, your asphalt is much easier to sweep and/or clean. 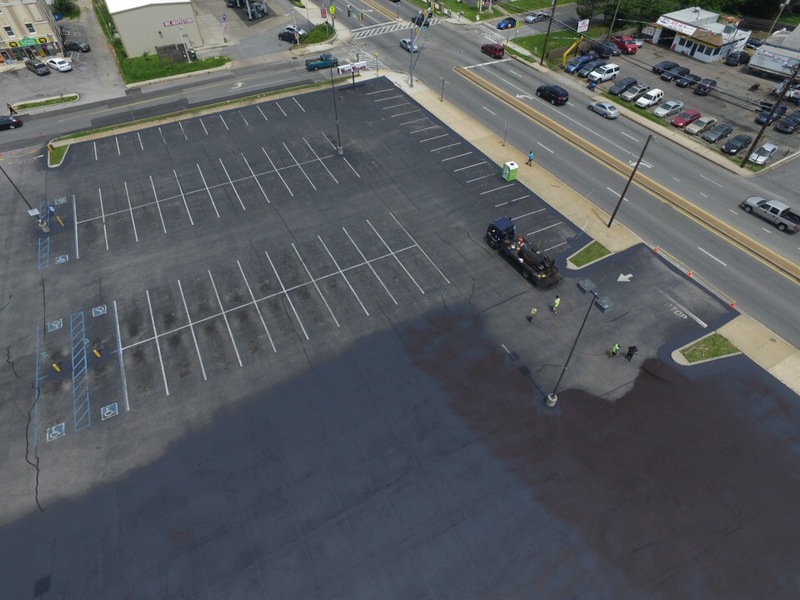 A quick note on what sealcoating WON'T do--sealcoating an asphalt parking lot that's been neglected for 10-15 years is like putting a small band-aid on a severe wound. You know, the kind that needs stitches. It may look fine for a short while, but there won't be any structural value or real protection happening. Unfortunately, this happens far too often with sub-par contractors. They claim sealcoating will extend the life of your deteriorating asphalt lot a couple of years, when what you may really need is full-on pavement reconstruction, not just a pretty black coat. Sealcoating doesn't resurface asphalt, and it doesn't level or fix low spots. What type of materials are used? How is sealcoating applied? 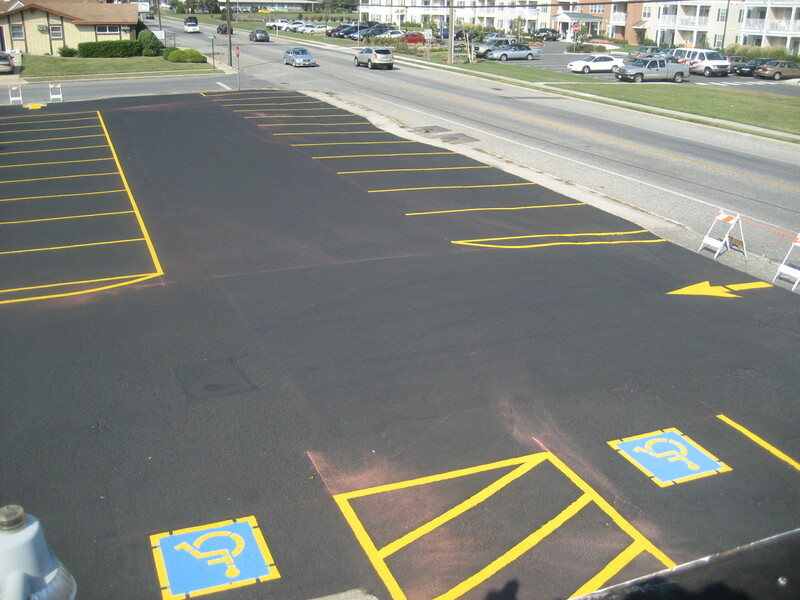 Coal Tar Emulsion Sealer - latex-based and one of the most popular choices when it comes to commercial and industrial parking lots. 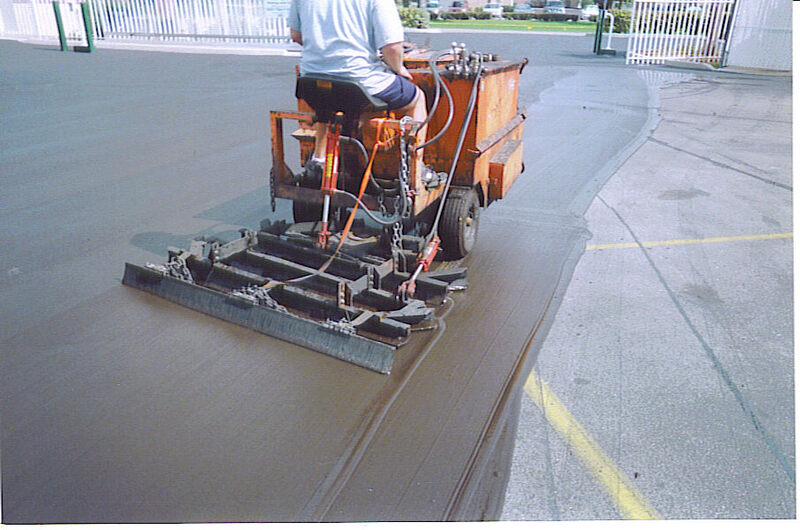 Asphalt Emulsion Sealer - also latex-based and widely used, but a more environmentally friendly (green) alternative to coal tar emulsion sealers; instead of coal tar, emulsified asphalt is mixed in with water, mineral fillers (silica sand, clay, or slate), and other admixtures. Acrylic Emulsion Sealer - typically produced in multiple colors and sold as a niche product for sealing and cosmetically enhancing driveways, golf cart paths, or as identifiers to specific parking areas or entrances. Of course, there are many sub-types and caveats with the above list. Many more green, bio-based rejuvenators exist these days than used to. 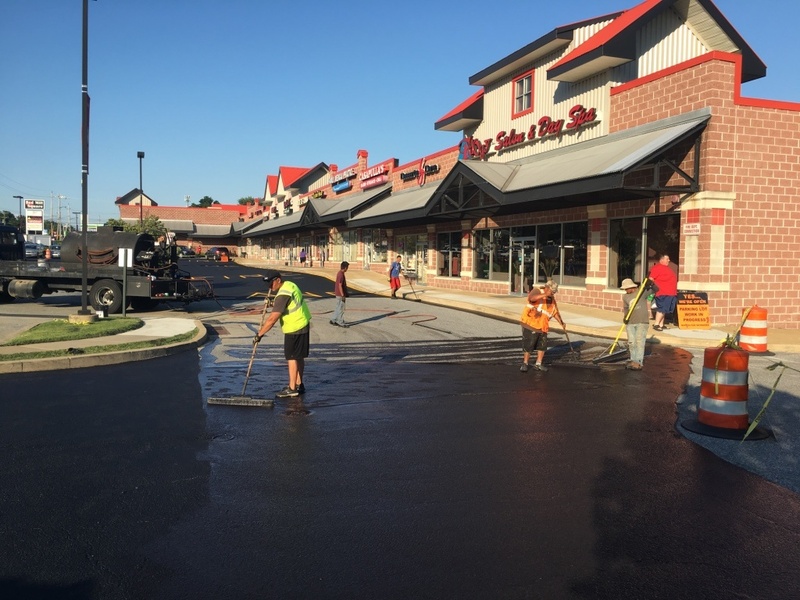 There are also fast-dry pavement sealers that can be ready for traffic in as little as one hour--great for quick-service restaurants, hospitals, airport taxiways, shopping centers, or any other high-volume parking lot that can't be shut down for 24 hours. One thing to note is that sealcoats are different than Type I, II & III slurry seals / microsurfacing, which all use a much coarser aggregate filler and are designed for use on high speed areas with straight rolling traffic. I should mention that Coal Tar Emulsion Sealer is banned in some U.S. states due to environmental concerns. This trend toward environmentally friendly alternatives is likely to continue, something I can certainly stand behind! So, how is sealcoat applied? 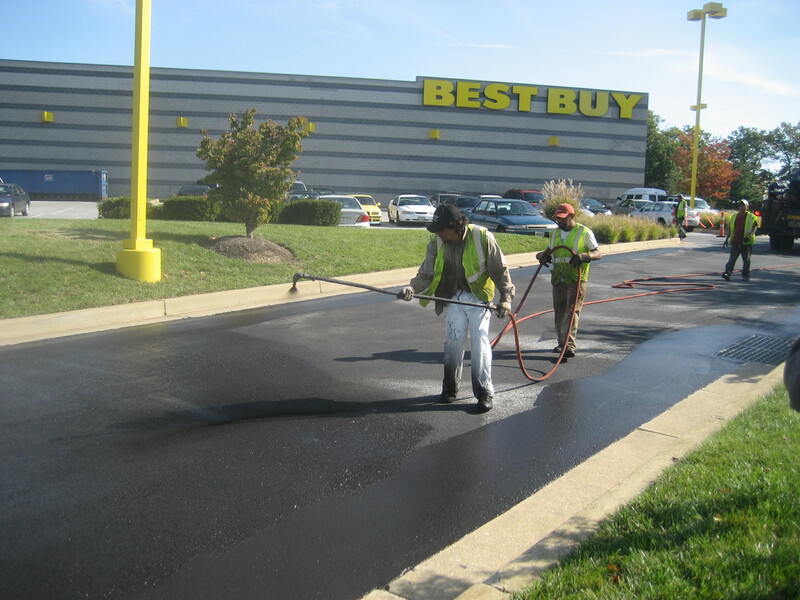 Sealcoat is applied directly onto the surface of a (recently cleaned) asphalt pavement. It can be applied using rubber squeegees, brooms, or mechanical spray, often a combination of the aforementioned applications. 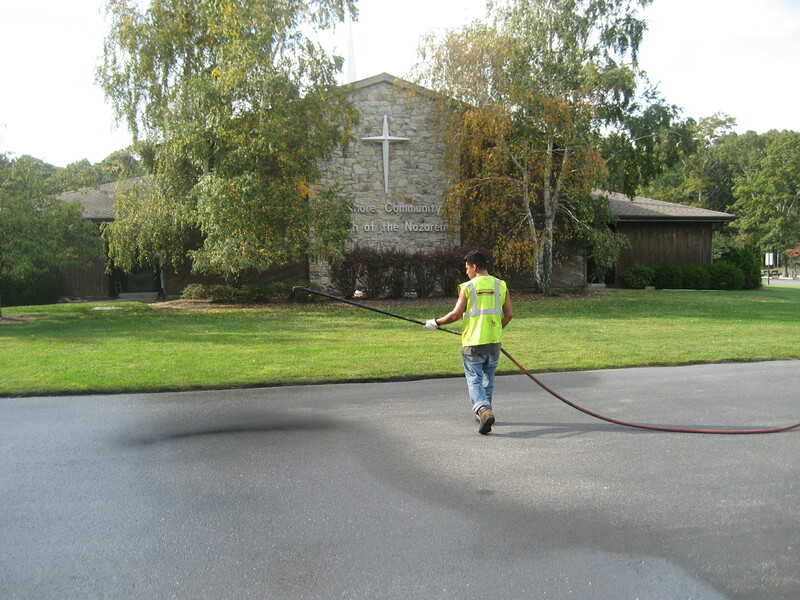 An example here would be that the first coat of sealcoat is applied via squeegee, and the second coat is applied by spray. When it comes to Asphalt Emulsion Sealer, we like squeegees and think they offer the best re: durability. 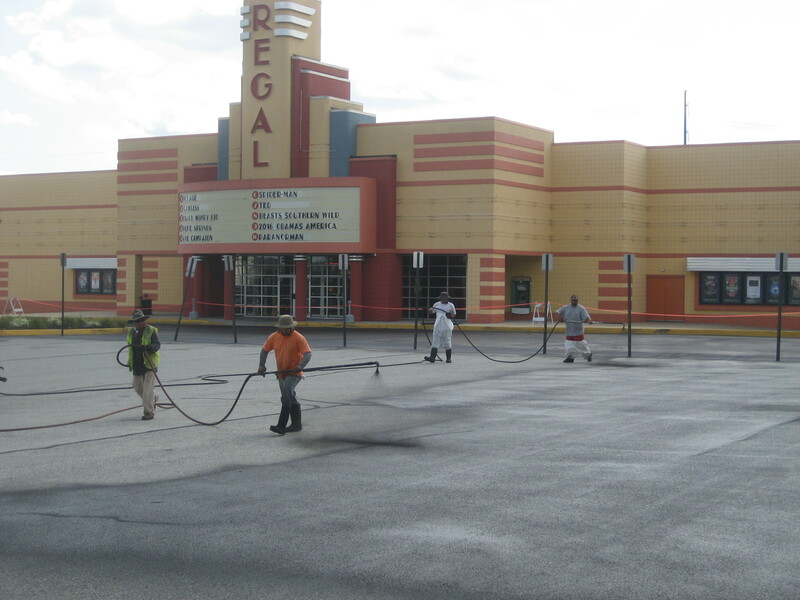 How long does asphalt sealcoating take to complete? Most jobs take two coats, which requires 24-48 hours of curing before vehicles are allowed back onto the surface. 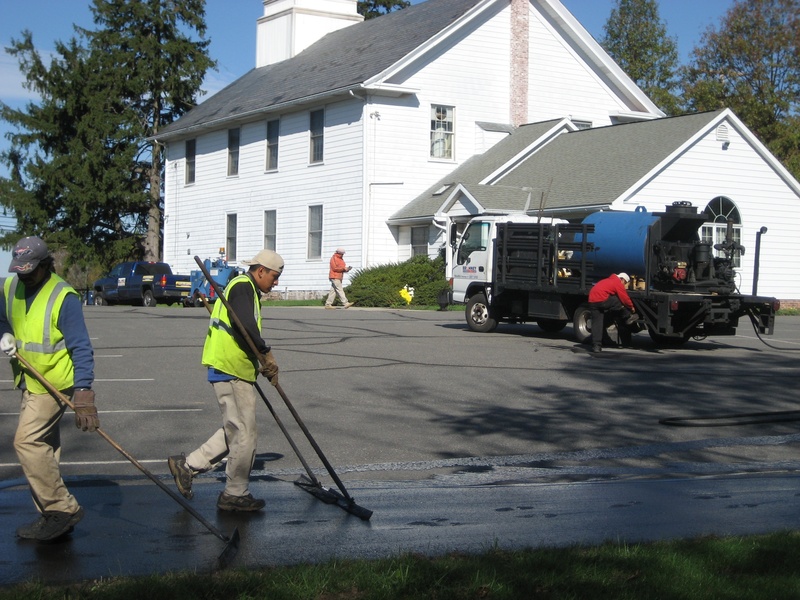 Before a sealcoating job, the asphalt should be cleaned using sweeping methods and/or blowers. An unclean surface could cause poor adhesion. 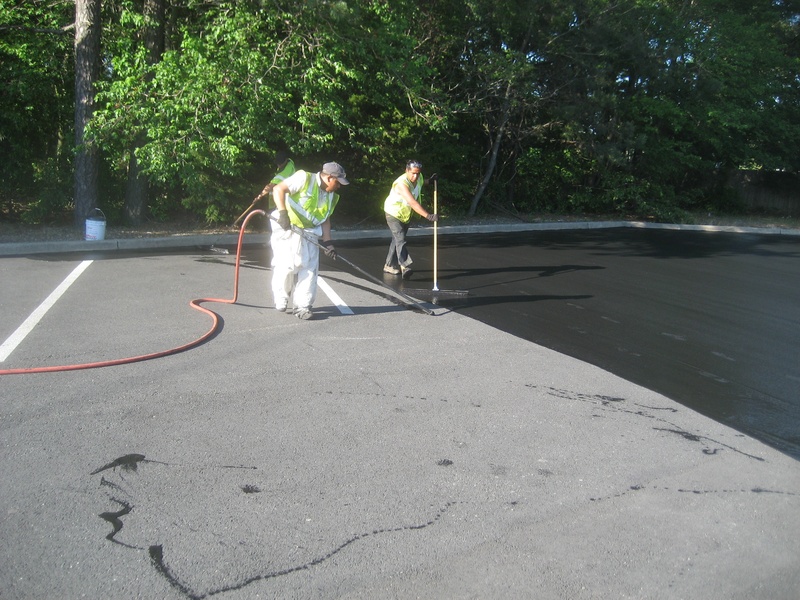 Once the surface is clean, the sealcoat mix is applied at about 60 square feet per gallon per coat. Mobilizations: The amount of phases the project can be completed to minimize disruption to your customers / tenants. Cleaning & Preparation: How dirty the parking lot is and how much cleaning will be involved using walk behind air blowers and steel wire hand brooms. Pavement sealer requires asphalt to be 100% clean to adhere / perform properly. The amount of oil spots which require preparation and priming with a latex based oil spot primer. Layout Of The Parking Lot: Wide, open square asphalt parking lots and interior roadways without a lot of landscape islands, turns and other chopped up areas. When pavement sealer can be applied with a distributor truck spray bar making a 10’ pass at a time versus a hand held spray wand applying sealer in a 3’ pass at a time. Size Of The Asphalt Parking Lot To Be Sealcoated: With all things being equal (Clean Parking Lot, 10 miles from office etc) theoretically it takes the same amount of time for a 4-person sealcoating crew to sealcoat a 15,000 sq ft open Burger King parking lot working in sections that is does to sealcoat a 60,000 sq ft closed office building parking lot on a Saturday. With the rising cost of Coal Tar and Asphalt Emulsion raw materials, fuel, insurance rates etc., if you are receiving prices for sealcoating under $0.14 square feet / $1.26 square yard, you are most likely going to receive a sub-standard project when complete. 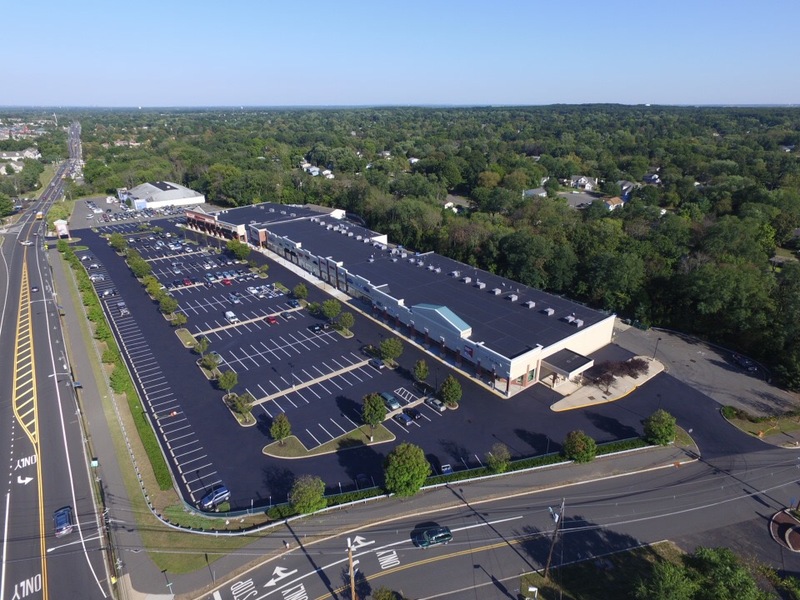 A parking lot preventative maintenance plan (PMP), which involves sealcoating and hot rubberized crack sealing, is the ABSOLUTE best investment a property or facility manager can make. $0.25 cents per square foot spent TODAY will save $4.00 - $5.00 per square foot 10–15 years from now. How long does sealcoating last for? 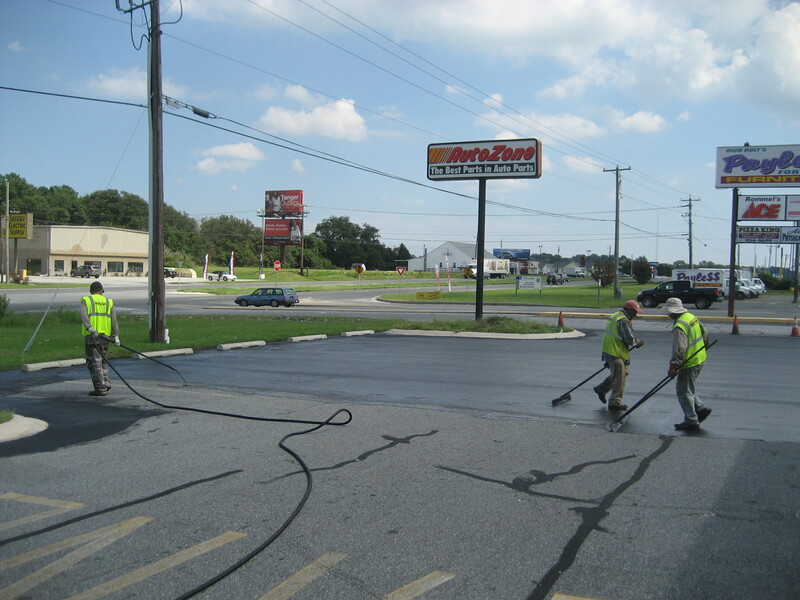 Proper timing of seal coating will enable you to extend the life of the asphalt by 300%. By seal coating within 12-18 months after asphalt installation, you will seal in the essential binder of the hot mix asphalt which is the glue that holds the stone and sand together for a smooth asphalt surface that is easy to sweep and will aid in melting snow and ice faster. Would you buy a new car with a perfect metallic paint finish, wax it one time and then never wax it again? Probably not. Seal coating should be scheduled on a 3-5 year rotation. How does 1-877-FIX-ASPHALT do sealcoating? The below video showcases our unique, consultative approach to sealcoating projects. 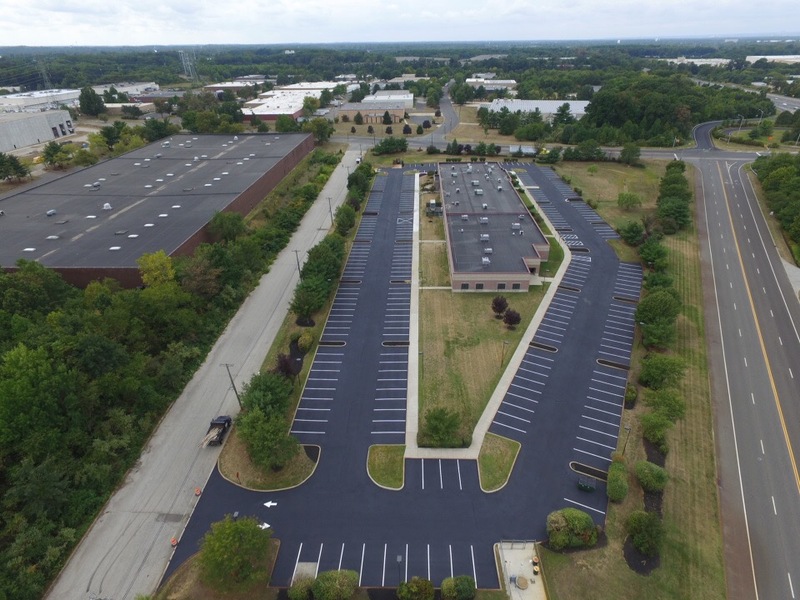 Since 2001, our company has put down millions of gallons of pavement sealer is committed to providing you with not only the highest quality workmanship in the industry, but straightforward recommendations of the proper applications for your specific project. 95% of sealcoating / pavement maintenance contractors are not providing quality work or long-lasting product application. Our parking lot consultants are trained to help property managers identify these inferior applications. We do this by encouraging them to contact the manufacturer or certain cooperative distributors to ascertain how the bidding contractor mixes their pavement sealer. They find, 7 times out of 10, the contractor is mixing the concentrate sealer with only water. To add insult to injury, water dilution ratios far exceed what the manufacturer’s recommendations! 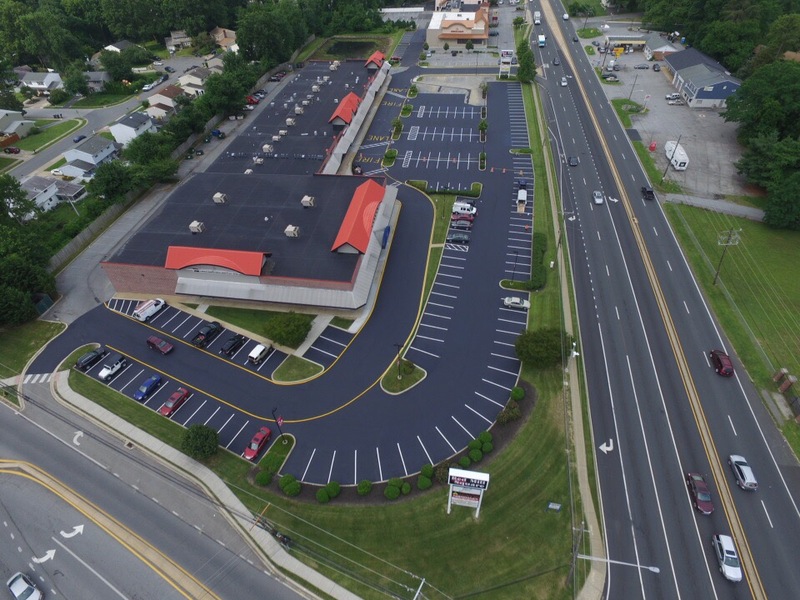 We're also the most technologically advanced asphalt & concrete contractor in the Mid-Atlantic Market (New Jersey, Pennsylvania, Delaware & Maryland). We provide everything from a dedicated video channel with live drone videos of your project in progress to daily work-in-progress pictures, all uploaded into your dedicated client portal.